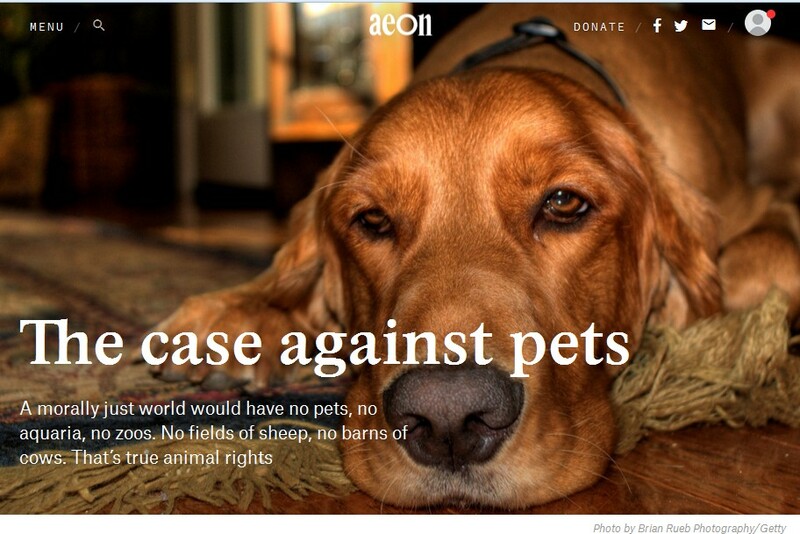 Our essay on domestication and pet ownership was published by Aeon. It’s generated quite a bit of controversy, including being the subject of a comment by Wesley Smith in the The National Review. The Abolitionist position on domestication is also explored in other posts on this site, including here and here.